Governor Jay Inslee has released his 2019-21 budget proposal, and it has big implications for Washington’s wildlife, outdoor heritage and quality of life. For years the Washington Department of Fish and Wildlife hasn’t been given the resources it needs to fulfill its full mission to preserve, protect and perpetuate fish, wildlife and ecosystems while providing sustainable fish and wildlife recreational andcommercial opportunities. While many millions of dollars go to items such as producing hatchery fish and managing fishing and hunting opportunities, it’s essential to understand that WDFW already spends less than 5 percent of its budget on important issues of concern for most Washingtonians: protecting habitat for threatened species, outdoor recreation and resolving conflicts with wildlife. WDFW’s budget request included $31 million to fill the deficit that had grown from this underfunding. But backfilling alone isn’t enough. The Department must have the resources to excel at conserving fish and wildlife and providing quality outdoor opportunities for Washingtonians. As such, $30 million in additional appropriations were requested to better serve a variety of needs—from restoring habitat on state lands to increasing public access and developing online applications for hunters and anglers. These requests were strongly supported by the department’s diverse stakeholder group, called the Budget and Policy Advisory Group (BPAG). And through Conservation Northwest’s action alert last month, hundreds of Washingtonians let Governor Inslee know we want the Evergreen State’s wildlife and biodiversity to be fully funded. 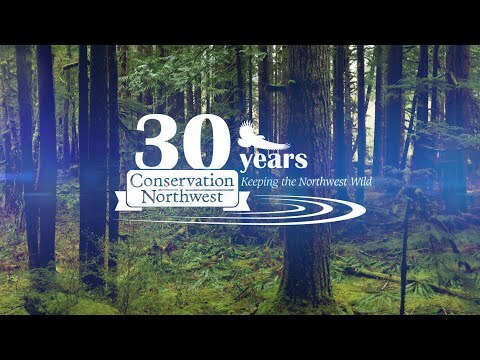 Conservation Northwest has long worked with WDFW to ensure our state’s full wildlife heritage is appropriately conserved and restored. This includes popular “game” species such as deer and elk, but just as importantly, rare and endangered wildlife like Canada lynx that help make our ecosystems whole and healthy, enliven our outdoor experiences and contribute to our Pacific Northwest quality of life. Conservation Northwest and our allies will be letting the Governor know our feelings on this. But more importantly, we’ll be working with key legislators in the weeks and months ahead to ensure they’re well aware of the needs of our wildlife heritage as they draft their budget bills.